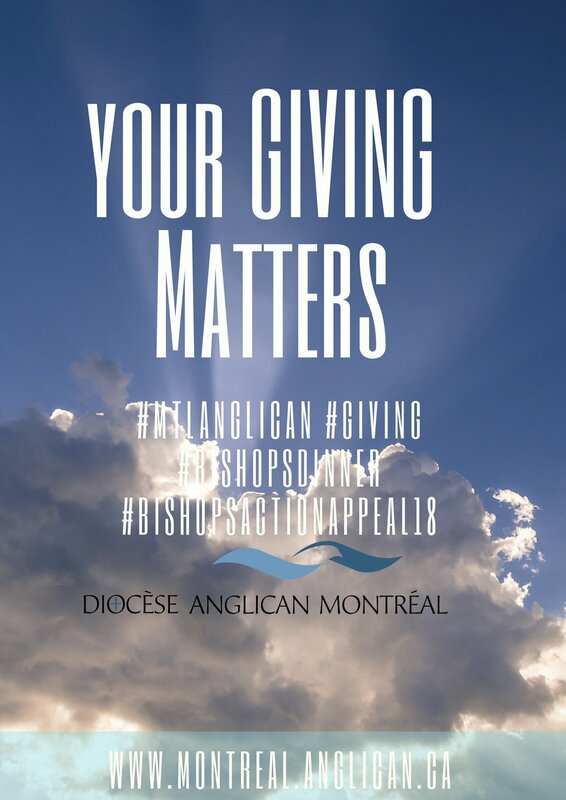 We would like to give you some details about next month’s Bishop’s Annual Dinner. This year, the dinner will take place at the historic St James Club in downtown Montreal. A beautiful venue, which is close to public transportation, the club boasts delicious, contemporary cuisine from French born Chef Philippe Sarrailh. The dinner is on Thursday, November 15th…registration starts at 5:30, cocktails at 6pm with special guest speaker, former Senator Hugh Segal. 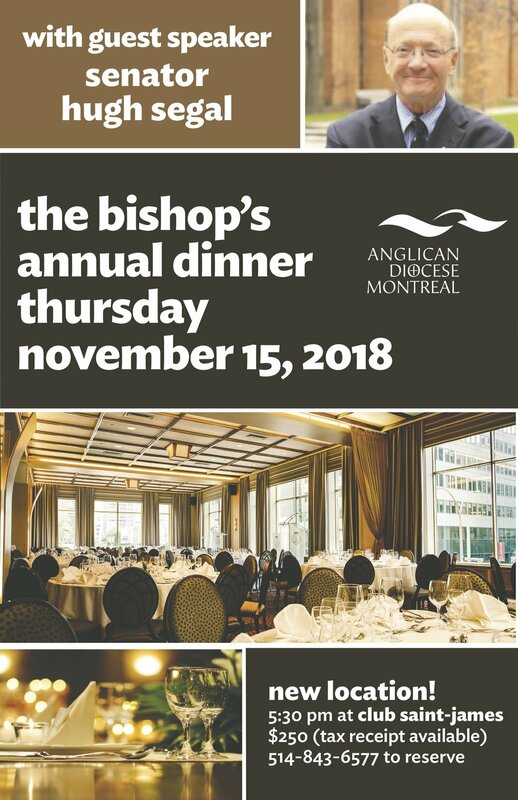 As always, proceeds from the Bishop’s Dinner go to supporting the work of Mile End Mission, Tyndale St George’s Community Centre and Action Réfugiés.